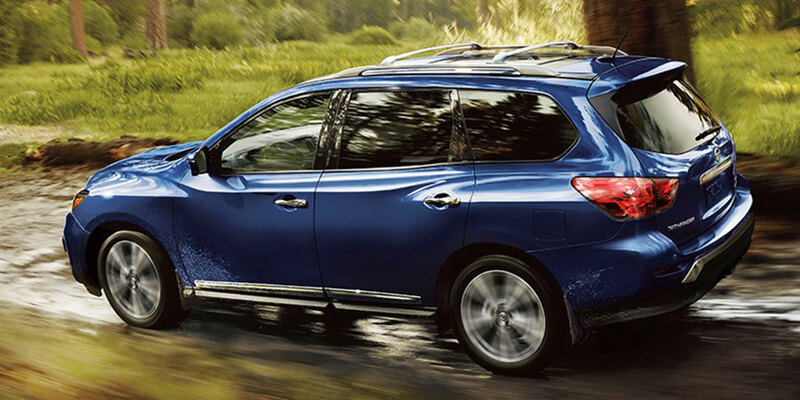 The used Nissan Pathfinder offers a large, luxurious take on adventure. With three rows of seating and a strong, capable performance, this crossover is ready to make memories with you and your family. Check out our used buying guide to learn more about how the Pathfinder has evolved in recent years. As modern, three-row crossovers, these Pathfinders inject a healthy dose of zest into your daily drive. Their crossover design makes them easy to handle in a tight spot, whether that’s an unsightly rush-hour traffic jam or a winding mountain path. For a little extra traction on dirt road and slick pavement, browse your local crop of used Pathfinders for all-wheel drive. Nissan gave its Pathfinder a serious makeover for the 2017 model year, covering all the bases. 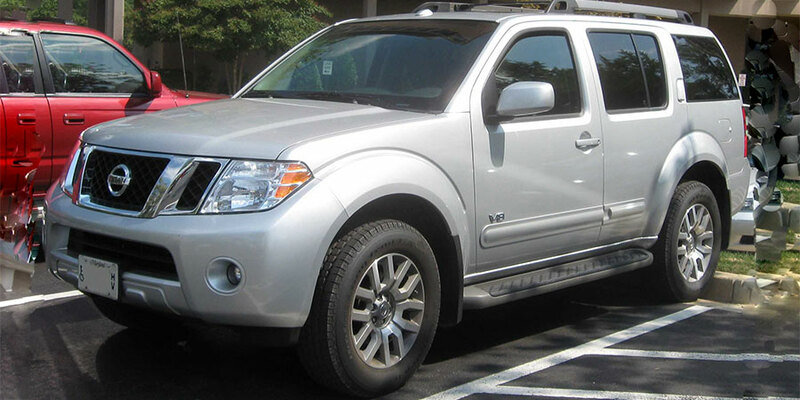 These mid-generation used Nissan Pathfinder crossovers introduced more engine power, greater towing capacity, a larger standard touchscreen, and revised steering and suspension for an upgraded driving experience. Sounds great, right? In your quest for a used Pathfinder, these newer crossovers are definitely worth a look. Unlike the current generation, these Pathfinders are truck-based, body-on-frame SUVs in the robust American tradition. With one of these babies, you can tow up to 7,000 pounds-in other words, a really big boat or even a reasonably sized camper. Optional four-wheel drive makes for an especially rugged ride in off-road territory. Inside, you’ll find three rows of seating for your family road trips and 79 cubic feet of maximum cargo space for hauling unwieldy gear. Before you test-drive your local crop of third-gen Pathfinder SUVs, there are a few things you need to know. These three-row SUVs had a standard V6 under the hood. 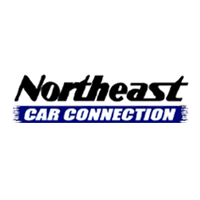 If you’re looking for some extra horsepower, shop for a 2008 Pathfinder or later. These offered an optional 5.6-liter V8 that cranks out 310 horses and 380 pound-feet of torque to take the Pathfinder’s towing and hauling capabilities to the limits.